Having an issue with Google Drive where the sync doesn’t seem to take place right away. Any thoughts on what would cause this? I really need the sync to happen like it would normally when a file hits the folder it syncs. Now problems like this can be difficult to troubleshoot when the application is running invisibly in the background (in Session 0). We advised Jeremy to restart Google Drive in the current session — to show Drive’s tray icon and windows on his desktop. After some detective work, Jeremy found the problem. 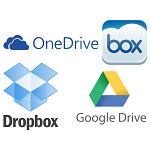 A recent automatic software update had broken the Drive desktop client! So it seems and a buggy version of the Drive desktop client (soon to be renamed “Backup and Sync”?) was inadvertently pushed out to thousands of computers. Ouch! The problem with Google Drive should be resolved. We apologize for the inconvenience and thank you for your patience and continued support. The Windows client will automatically update with this fixed version within the next 10 hours. 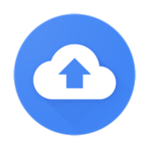 Alternatively, affected users can download the updated version of the client from https://www.google.com/drive/download/. Affected Windows 10 users may be required to sign in to their Google account within the client. A Cautionary Tale If You Need Google Drive To Stay Up 24/7! Unfortunately this isn’t the first time that automatic updates have caused trouble for our customers using Google Drive. This article describes similar adventures that occurred in June of 2013. But this most recent episode reminds us of the perils accompanying automatic updates. Despite the best of intentions, the same powerful system that distributes important security fixes and improvements will happily deliver corrosive bugs and destabilize your previously working software. For this reason, automatic software updates should be viewed with skepticism in professional environments where downtime is costly. Indeed, we recommend disabling updates for your mission-critical programs and scheduling manual upgrades during a safe maintenance window. Sadly Google Drive doesn’t offer an easy way to avoid auto updates. Disabling a few scheduled tasks should stop the madness but we’ll do some digging and let you know if we come across a less intrusive method.